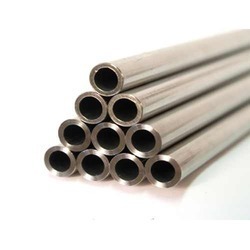 Welded pipe: 1/2" - 12"
Being a client-centric organization, we are offering our clients a unique range of Alloy 20 Tubes. These tubes are manufactured from superior-grade raw material sourced from the certified vendors of the market. Offered tubes are thoroughly tested by our professionals to ensure complete client satisfaction. We deliver the product within the stipulated time frame and at competitive prices.